An intensely nourishing facial treatment infused with skin-renewing botanical oils, this 5-Oil Blend is designed to soften and smooth the look of fine lines and wrinkles while recovering skin's youthful appearance, suppleness, and resilience. 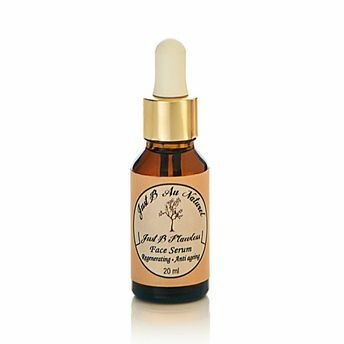 Carefully formulated with powerful botanical oils known for their anti aging benefits this essential moisturizing oil contains skin-replenishing oils that renew the skin's radiance like cold pressed Argan, Rosehip, Organic Jojoba, Organic Evening Primrose Oil and age defying essential oils. The lightweight formula absorbs quickly for a boost of vital moisture, while vitamin E works to maintain the skin's elasticity and smoothness. Very concentrated, a little goes a long way!